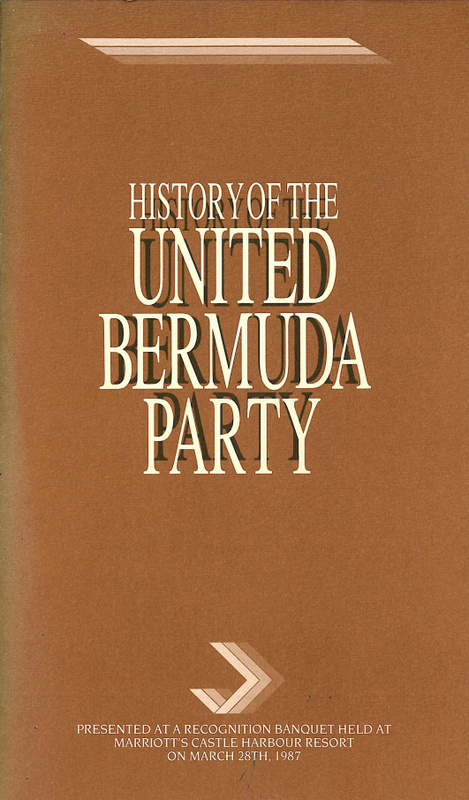 The United Bermuda Party (UBP) was a political party in Bermuda. It represented itself as centrist party in favour of a moderate social and fiscal agenda. Having held power in Bermuda's House of Assembly continuously from 1968 to 1998, the 47-year-old party officially ceased operations on 30 June 2011 after the majority of its members joined the One Bermuda Alliance. The United Bermuda Party was founded on 21 August 1964, by 24 members of Bermuda's Parliament, following the formation of the Progressive Labour Party. Sir Henry Tucker was the leader of the new party. In 1968 the UBP formed the first government under Bermuda’s new constitution and universal adult suffrage, winning 30 of the 40 seats. Tucker was appointed Bermuda’s first Government Leader. The party was loosely modelled on the UK's Conservative Party. From 1964 until 1998 the UBP had a string of 8 straight electoral victories. Following the first, the party held 30 seats in Parliament. The 1970s saw the UBP majority in Parliament decline as the PLP grew in popularity. This trend stopped following the appointment of Sir John Swan as Premier on 15 January 1982. Under Swan's leadership, the second black man to lead the party, the UBP control of Parliament strengthened through the elections of 1983 and 1985 (where it reached an all-time high of 31 seats), though this reversal ended in 1989. The 1990s were a troubling time for the party as the PLP gained in popularity. By 1993 the UBP held 22 seats in Parliament. In 1995, Swan held a referendum on independence, which was soundly defeated. He promised to resign if the measure was defeated as a sign of his support for the issue, and kept his word. He was replaced by MP Dr. David Saul, who was soon replaced by Pamela Gordon, Bermuda's youngest Premier, and the first woman to hold the office. In 1998, the PLP finally defeated the UBP. This marked the first time in over 30 years that the UBP was not in power. In the subsequent election (24 July 2003), the party won 48.0% of popular votes and 14 out of 36 seats under the leadership of Dr. Grant Gibbons. In January 2006, Gibbons was replaced when Wayne Furbert was unanimously selected as the new party leader. On 3 April 2007, Michael Dunkley replaced Wayne Furbert as leader of the opposition. Following the loss of his seat in the December 2007 elections, Dunkley was replaced as Leader of the Opposition by Kim Swan. The party's deputy leader is long-standing maverick MP Trevor Moniz, a recognised champion of Bermuda's Portuguese community. 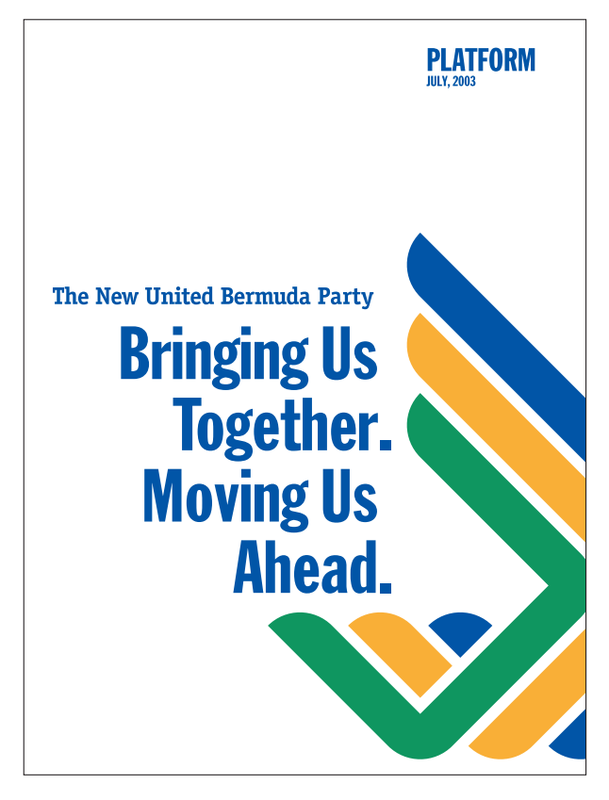 On 3 May 2011, the UBP executive voted to disband and merge with the Bermuda Democratic Alliance (BDA), together forming the One Bermuda Alliance (OBA). Party leader Kim Swan refused to join after the executive failed to allow a disputes tribunal under the United Bermuda Party constitution to take place and was granted an injunction in the courts. In response, seven UBP Members of Parliament resigned from the UBP and joined with the sitting BDA members under the OBA banner. While Kim Swan and Charles Swan remained as UBP Members of Parliament, the OBA replaced the UBP as the official opposition party. On 29 June 2011, the UBP announced that its offices would close and it would cease to operate as of the following day. In November 2011, the two remaining UBP Members of Parliament announced their intention to revive the UBP and to have it contest the next Bermuda election. The party's website was updated and election posters prepared. The two MPs, Kim Swan and Charlie Swan, were the only two announced candidates for the party. A March 2012 poll reported that the revived party had about 1% of voter support. When an election was called for 17 December 2012, Kim and Charlie Swan announced they would run as independent candidates, effectively ending the revival attempt. To promote Bermuda's social, moral, economic and political welfare. To develop Bermuda's unity and understanding. The ensure freedom and opportunity. To enforce the rights granted by the Bermuda Constitution. To maintain economic and political stability under a free market economy. To provide a sound, responsible and democratic government.